The Porto 5 light bathroom ceiling light from Forum Lighting is a stylish light fitting ideal for the modern bathroom. 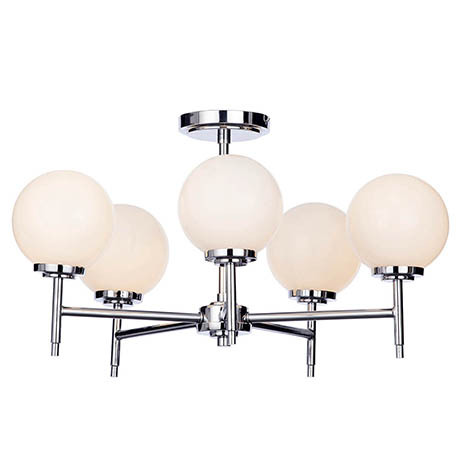 It features a chrome effect round ceiling plate and 5 globe opal glass shades each mounted on a chrome arm. Forum's Spa bathroom lights are perfect for creating stylish, feature lighting to finish off the look of your new bathroom. Please note: Lamps not included.